Just as I started collecting high-fidelity music in DVD-Audio and Super Audio CD (SACD) formats, Apple iPod and iTunes took off and essentially killed these audiophile formats. A number of classic CD's and records were re-engineered to perfection using these formats. Brothers in Arms by Dire Straits on SACD, and the George & Giles Martin masterpiece of The Beatles - Love on DVD-Audio has to be listened to be believed. MP3's and iTunes also effectively put all record stores out of business. You can't even find some classic CD's on Amazon any longer - everything is turning digital. Although I wouldn't consider myself an audiophile, I enjoy listening to high quality music and MP3's just don't cut it for me. In theory, lossless codecs such as Apple Lossless Audio Codec (ALAC) and Free Lossless Audio Codec (FLAC) can handle high-resolution, multichannel recordings, but I'm quite sure that there is going to be reaction from the music industry and artists. Maybe analogue artists and analogue art will be the wave of the future? 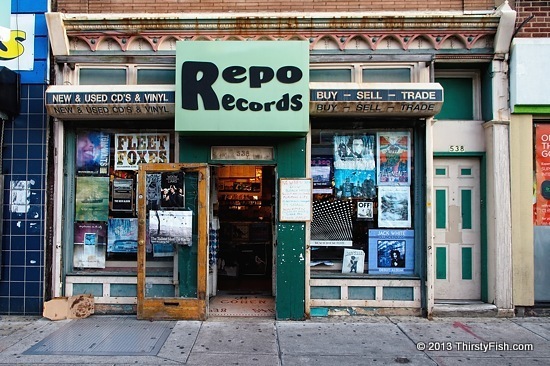 Repo Records on South Street, Philadelphia specializes in the buying and selling of new and used CDs, LPs, and music DVDs.